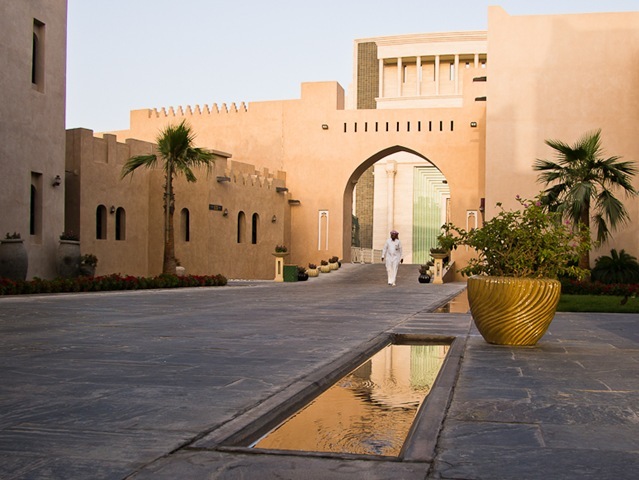 The cultural village or Katara is a favorite spot for anyone who needs a relaxed setting to spend the evening in Doha. I spent the evening trying to shoot some images for an upcoming article about the place. It is quite tricky to shoot and get some nice images, though the place is carefully designed and lavishly embellished. Everything is in marble or carefully applied stucco. The stucco has been rendered beautifully giving the whole valley an artful and traditional feel. 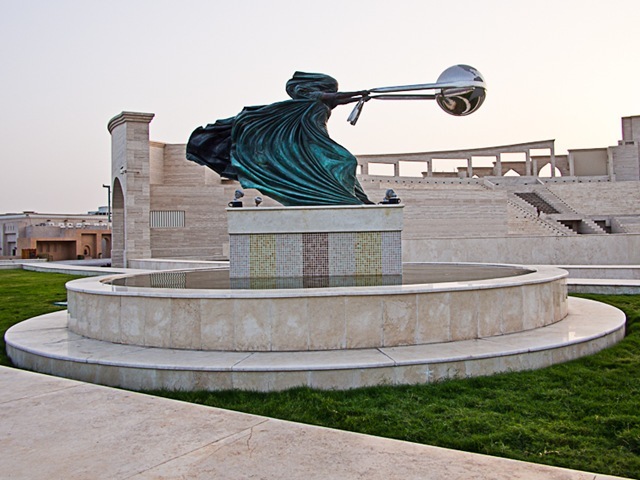 Katara could be the epitome of Qatari and modern architectural fusion. It would take numerous visits to understand the layout of the place. Its all sinewy and tortuous for the first few visits. This water fountain is another example of fusion in style. Technology stays invisible in the background as a network of pipes and drains supplying and draining the water. 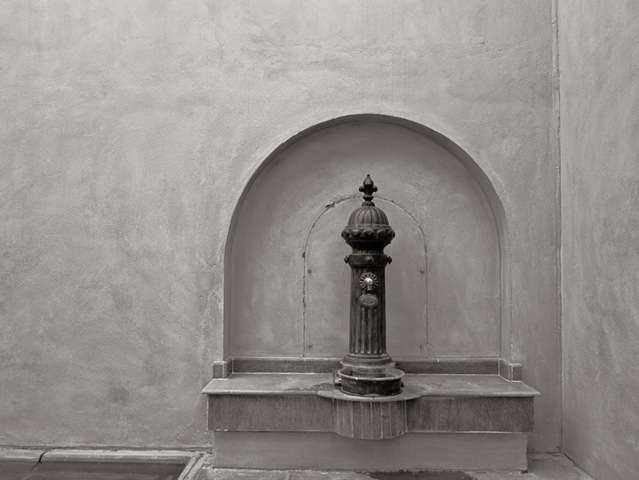 What meets the eye is a simple but painstakingly created wall with a water fountain to quench your thirst. For many of the Qatari men, I guess, it is a moment of ‘tradition versus modern’ in their everyday life. Everything in their life is spanking new in terms of technology and style. The world’s best cars smooth the ride. The whole city has been built in the last 20 years, designed by some of the revered architects and city planners. But above all of this, the Qataris display a camaraderie and style that is traditional and unique. It is a breakout moment in Qatari history.